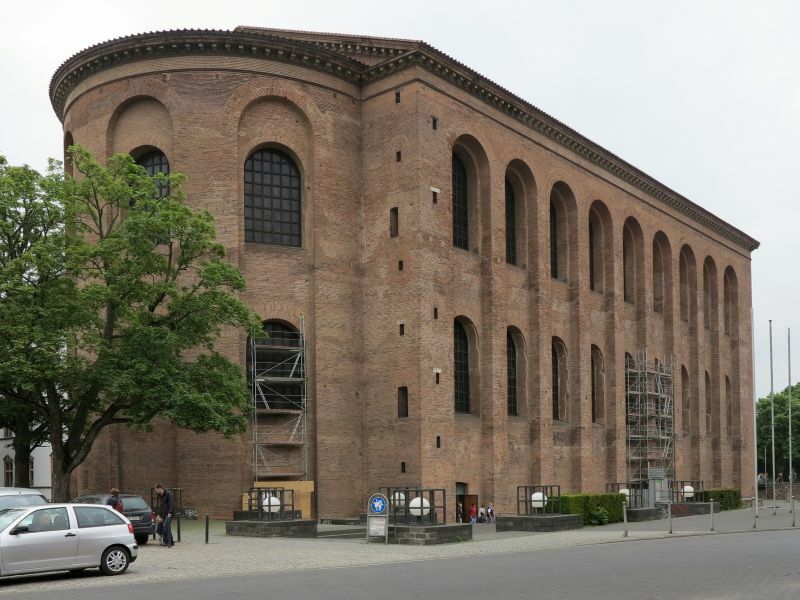 The Basilica of Constantine (German: Konstantinbasilika), or Aula Palatina, at Trier, Germany is a Roman palace basilica that was built by the emperor Constantine (AD 306–337) at the beginning of the 4th century. Today it is used as the Church of the Redeemer and owned by a congregation within the Evangelical Church in the Rhineland. The basilica contains the largest extant hall from antiquity (see List of ancient roofs) and is ranked a World Heritage Site. The hall has a length of 67 m, a width of 26.05 m and a height of 33 m. It is designated as part of the Roman Monuments, Cathedral of St. Peter and Church of Our Lady in Trier UNESCO World Heritage Site. The Aula Palatina was built around AD 310 as a part of the palace complex. Originally it was not a free standing building, but had other smaller buildings (such as a forehall, a vestibule and some service buildings) attached to it. 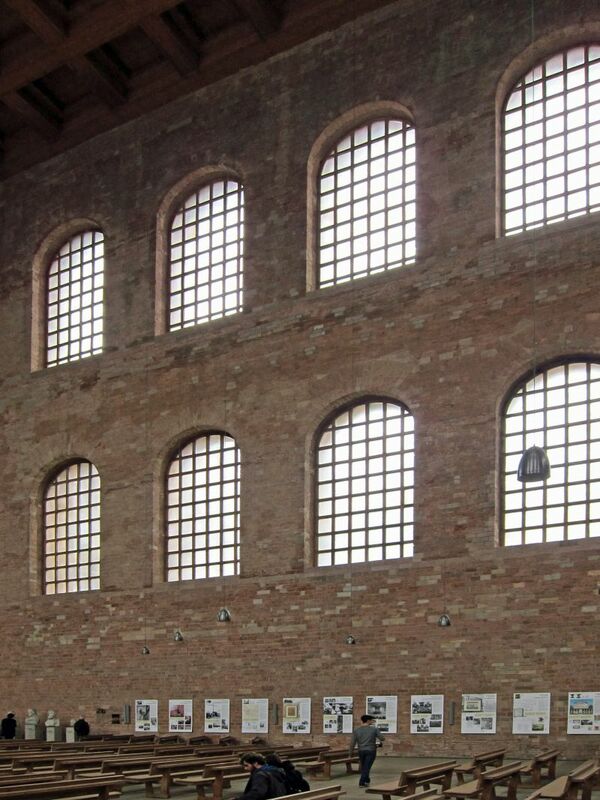 The Aula Palatina was equipped with a floor and wall heating system (hypocaust). During the Middle Ages, it was used as the residence for the bishop of Trier. For that, the apse was redesigned into living quarters and pinnacles were added to the top of its walls. In the 17th century, the archbishop Lothar von Metternich constructed his palace just next to the Aula Palatina and incorporating it into his palace some major redesign was done. Later in the 19th century, Frederick William IV of Prussia ordered the building to be restored to its original Roman state, which was done under the supervision of the military architect Carl Schnitzler. 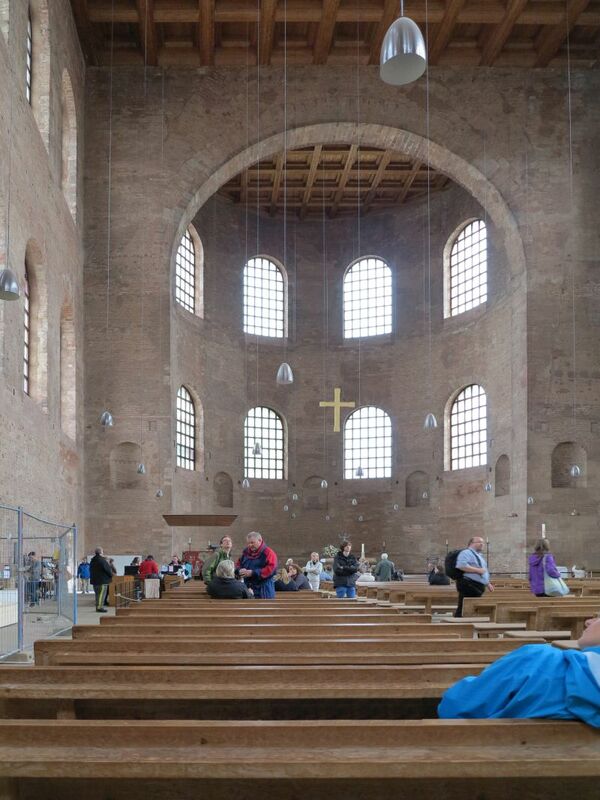 In 1856, the Aula Palatina became a Protestant church. In 1944, the building burned due to an air raid of the allied forces during World War II. 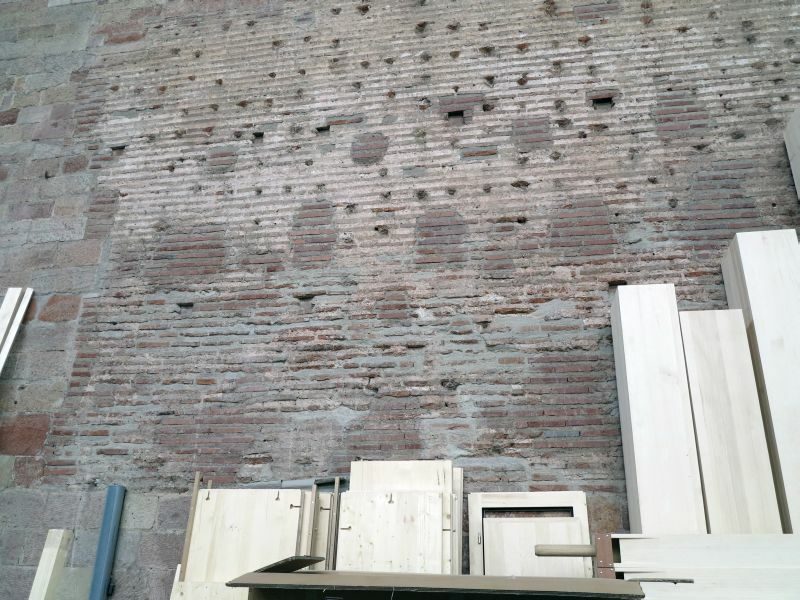 When it was repaired after the war, the historical inner decorations from the 19th century were not reconstructed, so that the brick walls are visible from the inside as well.